Shortly before Zack Snyder’s Batman v Superman: Dawn of Justice was pushed back a couple of years ago, it was announced that Chris Terrio would be rewriting the movie’s script. Obviously, that was one of the studio’s best decisions regarding the project over the course of its production, since Terrio is an Academy Award winner after all, but just how big is his comic book knowledge? “The first movie I ever saw was Superman 2. I almost drowned in a pool at age four playing Aquaman. I went away from comics for most of my life. But I stayed on top of super-hero movies. The ones that intrigued me the most were the [Christopher] Nolan’s films. They were ways of asking interesting questions in a genre form. We stand on the shoulders of those films in a way. Nolan helped establish a space in which super-hero movies can be taken more seriously. We thought a lot about those films, to a point where I had to stop watching The Dark Knight because I found I was rewriting it. After “Man of Steel,” I didn’t want to have this moment where you say, “Batman exists in this world, we forgot to tell you.” We’re saying, “No he’s been here the whole time.” With [Wonder Woman alter ego] Diana Prince, I thought it would be better if we met her as a civilian first and involved her in the plot in a way that felt like a thriller. She’s a mysterious woman interested in the same things Bruce Wayne is. The fun of it is if you don’t immediately reveal her in superhero guise, you get to revel in the moment when she finally does reveal herself. If you bring in a character in a kinetic way, then you accept the reality more easily. What do you guys think? Are you looking forward to seeing what Terrio has in store for us in Batman v Superman: Dawn of Justice? Sound-off your thoughts in the comment section below. at least he is honest, I’m anxious to see their work. Did he really have a choice to skip the origins or not? 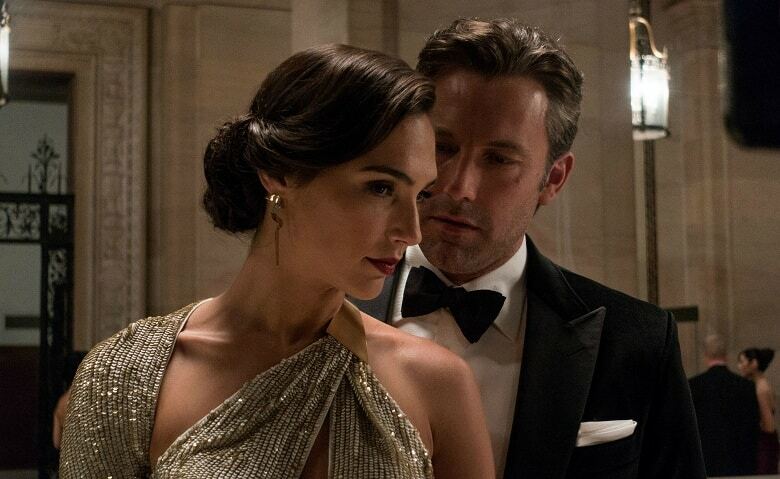 It’s not like we really have time for Batman and WW’s origin in a movie called Batman vs. Superman: Dawn of Justice. It’s not necessary for popular characters to have tedious origin stories told when people already know. Its why its perfect that marvel is just bringing Spiderman right in. He’s their biggest character. Radioactive spider bite everyone knows so set up isn’t necessary. I agree, but I was pointing out that it really wasn’t much of a choice. We certainly aren’t getting another Batman origin and WW needs a whole movie to explain her story. WW doesn’t really need a whole movie. Most of them dont really need an entire movie. It just depends how obscure the character is but a lot of character origins are so simple an entire movie is a huge waste of time but she is getting one though regardless. Doesn’t it come off like that anyways since MoS makes no mention of Batman or anything related to any other hero anyways? There’s a Wayne Enterprises logo on the satellite Zod destroys in orbit. That’s stuff added in post-production; I’m talking about including stuff into the script or plot. Stuff done in post generally does appear in the script. I’ve never read the shooting script for MoS, so I don’t know whether that was a late decision or not. You seem to be suggesting anything not said in dialogue isn’t in the script. I’m pretty sure the LexCorp truck was always meant to be a LexCorp truck (I think there were actually two of those), and the Wayne Enterprises logo was always intended to be there. I’m pretty sure they would have sold both of those spots to somebody had it not been part of the plan. No, that’s stuff generally detailed in cinematography while creating the storyboards. Screenplays don’t include that much detail. There’s multiple batman references in mos. Theres a poster in one of the office buildings they destroy that says keep calm and call batman and the satellite zod and superman destroy in a Wayne tech satellite. They are just doing batmans scenes because they want you to see the conflict from his point of view to understand his rage. It still seems like they’re filling in holes…naturally someone would ask themselves that if Bruce Wayne was present in Metropolis during the Zod invasion, why was he not shown in the original film. While I do believe that Bruce Wayne being in Metropolis was probably added in to the event after Man of Steel was finished, does it matter? Does it work in the story is the only question that we should be asking. Also, showing Bruce Wayne in Man of Steel during the fight between Zod and Superman would be a mistake. It would really damage the focus of the main storyline. Bruce Wayne is no cameo we’d just shrug off, especially when it’s in the middle of the third act. It was doable, if they had planned it from the beginning all along. They didn’t need to show Bruce Wayne during the fight, but a scene where he’s standing in the rubble of the buildings and being addressed as Mr. Wayne would’ve been a better addition than the scene where Superman is shown being introduced to the Daily Planet. Bruce would be seeing two super beings “going at it”. How was he gonna get in the middle of that without doing his “homework”? Remember, nothing like Sup has been seen before, suicide for a human to tagle with at that early stage. Nobody said anything about him getting into the fight…. My bad, thought that’s what you were getting at. Bottom line, they did hint at a Bruce Wayne existing in the movie/universe, many ways that could have been accomplished. That’s what they chose. What I have a hard time digesting is the idea that the two cities are across from each other. Why would he need to be? It would retract focus from the main plot. Kind of like Thor randomly going off to a cave in the middle of a conflict to have a Visio that had nothing to do with the film. These kind of things take away from the main story as well as diminish the main character that deserves more screen time. Its better just left out. I’m just saying that if you continue to add more plot lines to the same event in the sequel, it comes off as if it was originally incomplete and you’re now trying to patch up the story as if it was missed. They are two completely separate stories. Man of steel was about superman not batman. How awkward would it have been to randomly throw Bruce Wayne in it and go hey guys look its batman for five seconds then cut back to superman. It detracts from the story because now everyone is focusing on batman and not the conflict at hand. As I said before much like what pissed joss whedon off with the whole random Thor scene. It seems to be the new standard for people of what’s good. I remember the mediocrity that was ironman 2 and all everyone talked about at the end was dude did you see thors hammer?! Ya.. What does that have to do with ironman stopping another guy in a power suit just like him? If it’s a good movie, a small teaser at the end isn’t gonna be a distraction, just like the Quicksilver/Scarlet Witch teaser at the end of Winter Soldier was not a distraction. Man of Steel was not designed to be part of a shared universe when they made the movie. I believe Nolan who was producing that movie had no desire to cross Superman with other superheroes back then. Then Avengers happened while they were in the middle of making MoS and WB slowly started wondering if a shared universe of their own would be a good idea, but they were too committed in the current direction they were taking to change plans. That’s probably when they agreed to add these little Wayne Enterprise Easter eggs, or maybe they planned to add them in there anyways. Either way, when they realized Marvel was hitting home run after home run with their shared universe, WB had no choice but to change course and make MoS fit into this new plan of creating a shared universe. I believe that’s also about the time Nolan decided to leave the producer chair for the sequel. He probably wasn’t interested in going in that direction but WB realized there was too much money to be made. So they had to build this shared universe around MoS. Batman is kind of easy to bring in because he’s always been seen as a legend. There was never any proof that he existed, so that would explain why they wouldn’t really reference him in MoS. We’ll see how they handle Wonder Woman and the rest of the heroes, but I’m guessing WW was flying under the radar, kind of like Batman was and BvS will be that moment where she reveal herself to the world. I’m guessing the rest of the heroes origins also kind of happens around that same period, explaining why they weren’t referenced up to that point. But yeah, that was their biggest challenge writing this movie and opening up the door to this share universe: How do you insert all these characters into a timeline that was originally conceived to work on it’s own? I think that’s the entire point of his message. So why would they have mentioned Batman when it was never their intention in the first place to create this shared universe? They changed their minds and they adjusted their goals. I believe Chris Terrio is only referring to the DCEU films that he is writing which has a Wonder Woman fully formed as a character. With the knowledge we are getting WWI flashbacks in her solo film, we know there is going to be some sort of origin story being told for Wonder Woman. I wouldn’t stress over his statements here. I think for the average viewer, the inclusion of WW as a civilian first is brilliant. Allows for a heightened opportunity to blow them away in the third act when she’s in full costume.